Ferns Tosco is a proud artist from Boracay and had amazingly brought the island at the very stage. The 28 year old artist shared her love and passion for music. Despite the disapproval of her parents against her singing, she is determined to chase her dreams. Singing ‘Ang Buhay Ko’, she told the story of her life, how she travelled to reach her dreams with her songs and how she loves her island. Tosco is also part of the dragon Boat team which had been a champion for three consecutive years. 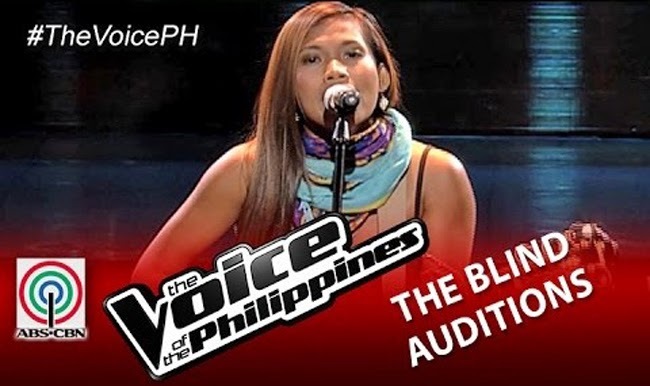 She was surprised as her team had revealed her red invitation to the Blind auditions. Singing in The Voice, she is determined to inspire the artist in her island. Hearing the song, Apl De Ap and Lea had turned simultaneously and were amazed. At the end of the song, she sang that the reason she was not in Boracay was that she loves music and opted to be in The Voice. The coaches were amazed as she seemed to be able to bring the ambiance of the island to them. Answering to the challenge, she sung a song she had written about Boracay. Sarah is happy that Ferns was proud of OPM but she also said that she was looking for something else. Lea said she has versatility and was able to bring the freshness of Boracay in the stage. Ferns said it is her calling to be a singer and Lea said she understands how it meant to have the same passion. Apl said she has a uniqueness in her and feeling the Bora,Apl came up to her barefooted to invite her to his team. Ferns sung impromptu song to thank the two coaches for turning and picked Apl. Everyone enjoyed her performance and she jeered in the song that she picked the one near to her skin color.